Kathleen and Dwayne are a decisive couple and when they were ready, we shot! 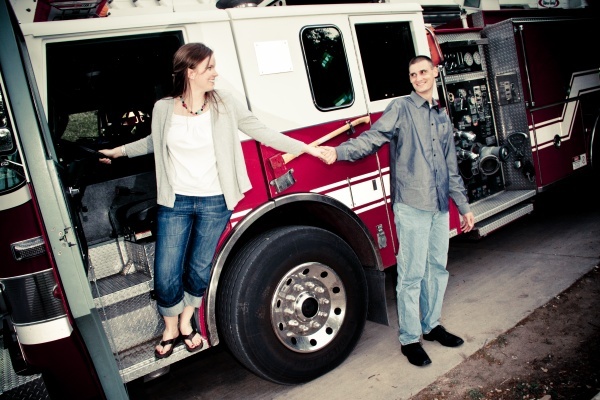 We had a great time, we met at the McNay in the late afternoon to start shooting and as soon as we were a wrap there we headed over to Dwayne’s fire station. Dwayne works with a great group of guys who really were fun and supportive. There is nothing better than having a fire truck with lights blazing! I think that this wedding is going to be fantastic!